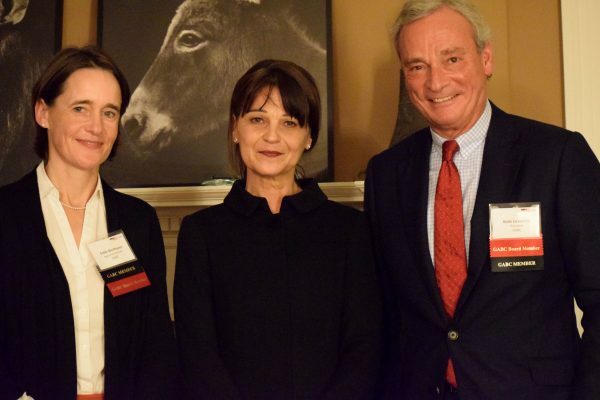 GABC members joined us for a sold-out pre-Thanksgiving evening with Consul General Nicole Menzenbach who took on her diplomatic duties a few months ago. 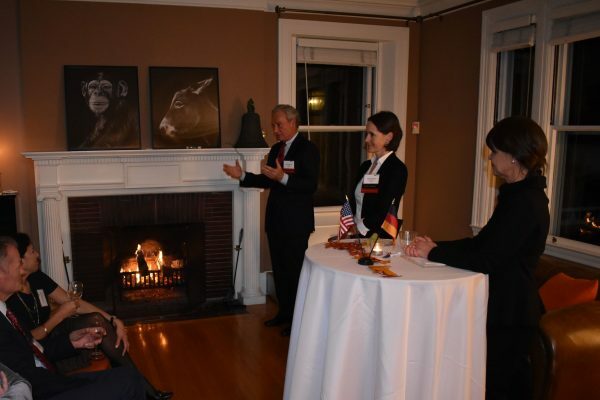 Ms. Menzenbach had just returned from a week long conference with fellow consul generals in Washington at the German Embassy and reported from a diplomatic point of view on the “balanced partnership” with the United States as it relates to trade, climate and international policy. 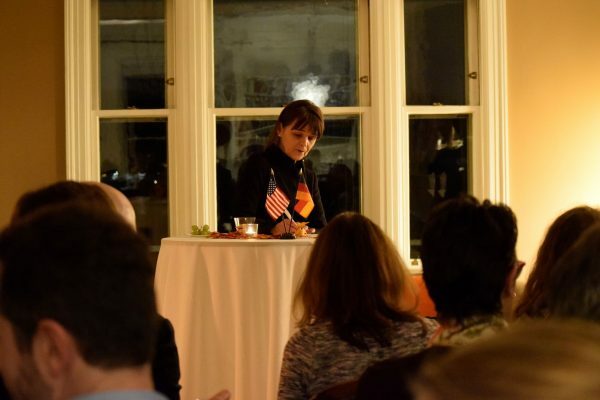 She also addressed The Year of German-American Friendship (“Deutschlandjahr USA”) which was kicked-off officially on October 3. Is evertyhing #wunderbartogether? 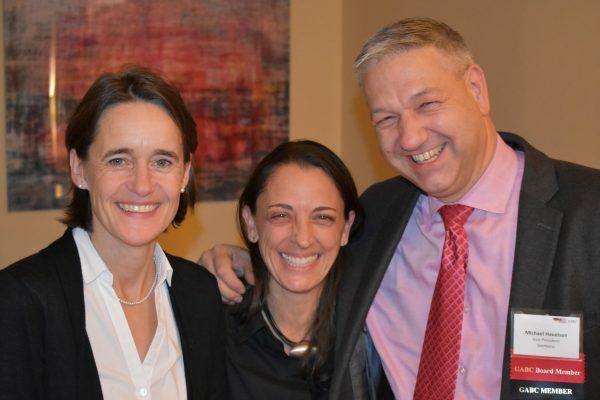 Maybe not everything, but the German-American relationship is still going strong and especially the relationship between Germans and Americans. 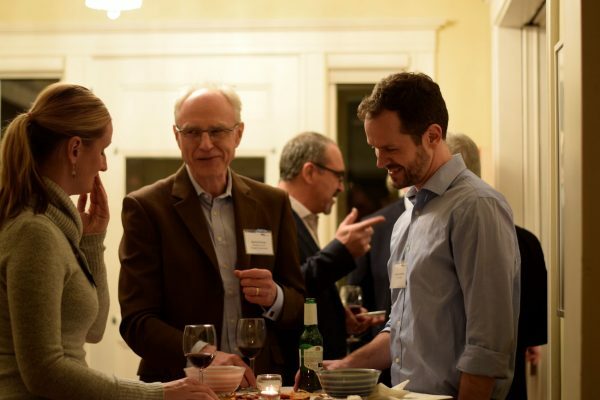 We were graciously hosted in a private residence near Newton Highlands where the fireplace was indeed crackling (as it was snowing outside) and GABC’s guests received a very warm welcome. 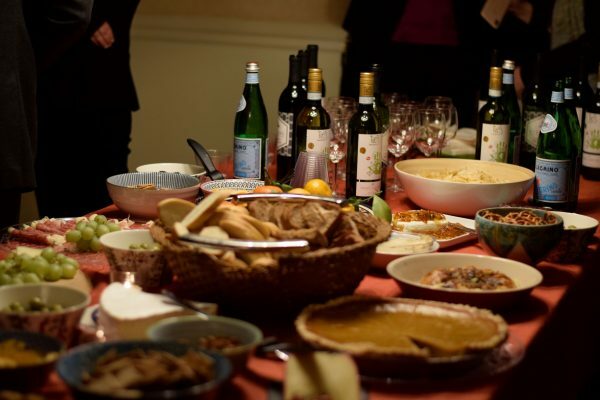 Refreshments and drinks were served. 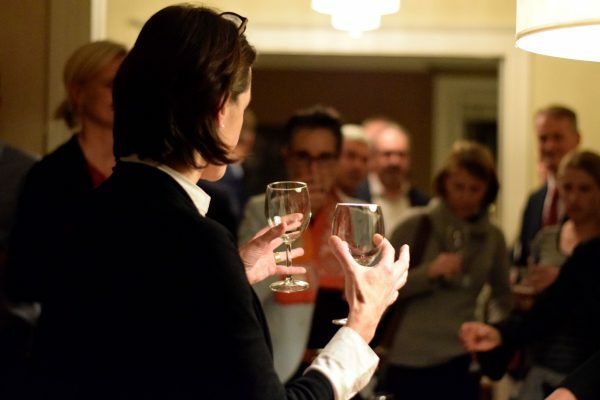 This is an event format offered twice a year (fall and spring) where a political or economic topic is presented by one keynote speaker in a private setting — the home of a generous host in the Boston area. 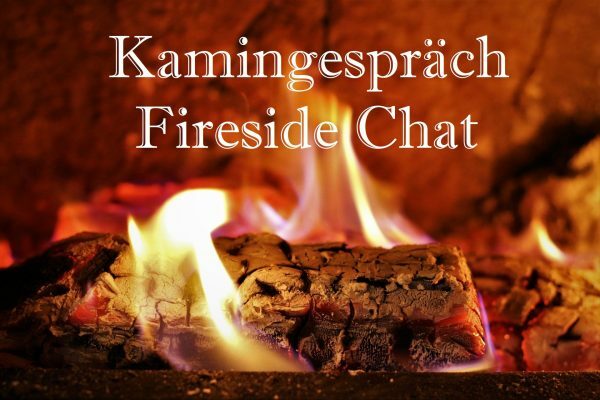 Fireside Chats are exclusively offered to GABC members only and provide an intimate setting and environment for GABC members to mix and mingle and to receive special access to the key note speaker. 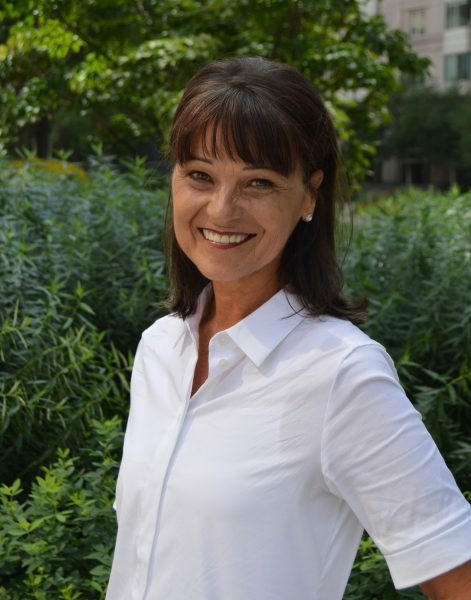 This event was only open to GABC members. Emily Westhoven with GABC Board Member Michael Haueisen and his wife Alexandra.